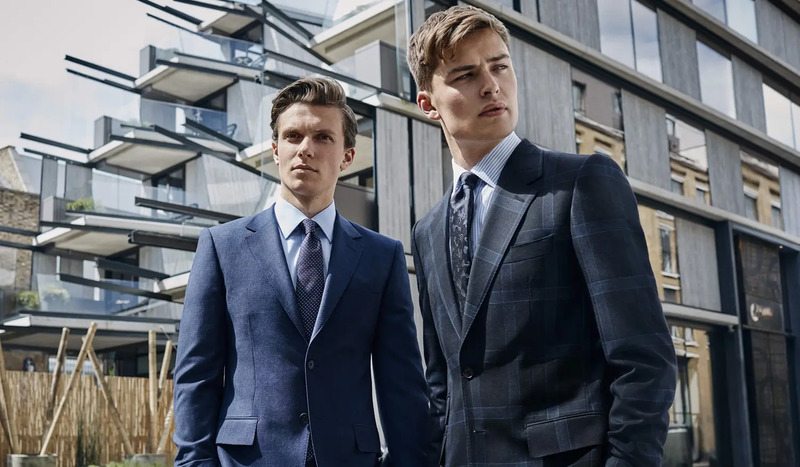 In an age of ever more casual dressing, in which business dress is more relaxed and the sartorial line between work and play blurred, it’s tempting to conclude that formal attire is less and less relevant. The direction of dressing is decidedly down rather than up. At least, up to a point – the point where proper dressing up, well beyond “smart casual”, is still required. These occasions – be it a wedding or a job interview – may be fewer, but that doesn’t mean you can rock up in a T-shirt and trainers. The very word – formal, as in formula – gives it away. They may be more open to interpretation, but rules is still rules, and respect – for other people, for the conventions of the situation – is respect. Here are a number of guidelines and diktats all modern gentlemen should adhere to. Whatever you’re wearing formally, make sure it fits properly. Ready-to-wear tailoring comes in standard sizing, much as any other clothing type does. 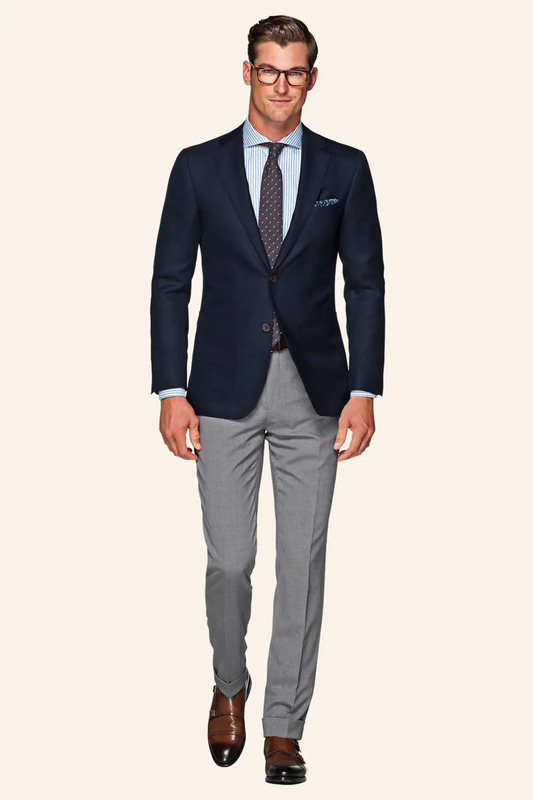 But whereas casual clothing can carry a broad array of shapes, a suit cannot. So if you don’t see value in investing in made-to-measure, or even bespoke, at least get your suit altered for as sharp a fit as possible. Sleeve and leg lengths are easily done; even the chest can be altered; what’s impossible (or at least impractical) is how the jacket fits across the shoulders. 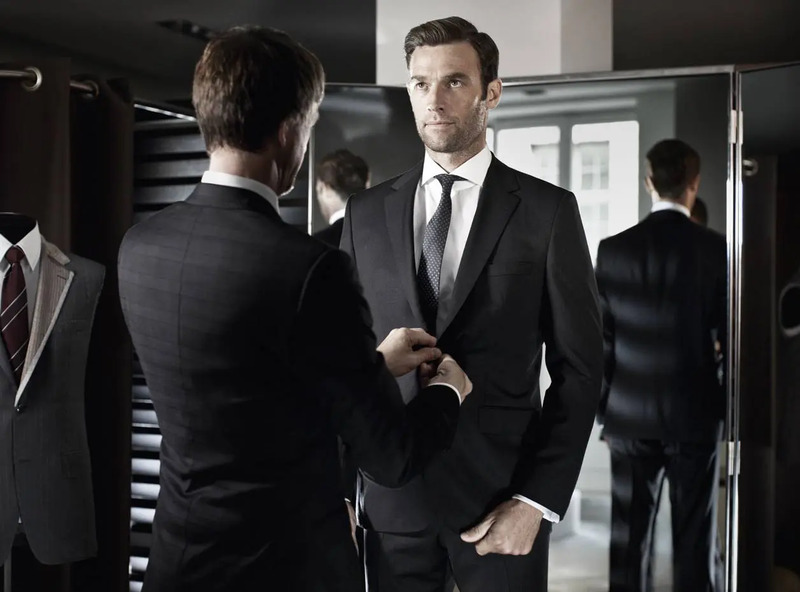 So when selecting your suit, make sure it fits well there at the absolute minimum. Some occasions will require not just formal dress, but a specific kind of formal dress. The demand for white tie or morning dress may be, for most people, a once in a lifetime calling, but many functions still demand black tie. And if they do, wear black tie: a black/midnight blue dinner suit, with bow-tie, white dress shirt, black dress shoes. This is not an opportunity to express yourself. It’s an opportunity to show you can respect the form of the occasion. Like it or not, formal dressing is above all about dressing to a template that, while it certainly slowly evolves, has been set down by society over decades. It’s more about subsuming your personality to this template than it is about trying to buck it. By all means seek out those subtle details that allow you to say you’re you. But, whatever you do, avoid the temptation to slide into gimmickry or novelty. You stand out by trying to subvert the template with that Mickey Mouse tie. Unfortunately, you stand out for all the wrong reasons. Black was the archetypal shade of formal dressing since the late Regency period. It was what all gentlemen wore. But that’s past tense. Black may still be essential for dinner dress, but these days should otherwise be avoided for formal attire. Blame hotel staff and nightclub bouncers – the black suit has been co-opted as the formal choice of hospitality industry functionaries. By all means stick with the classics of the formal menswear palette – mid grey, charcoal grey, navy – but steer clear of the dark stuff. You’re dressing up – but for what are you dressing up, exactly? Every formalwear occasion comes with its own cultural background, and you need to be mindful of this if you’re going to fit in. A wedding around an intimate gathering of close friends in a restaurant requires a different degree of formality compared with one with 500 guests in a cathedral. Different companies and professions have their own notions of formality: banking, for example, is inevitably more conservative than the tech industry. Dress for the crowd you’re dressing for. Formal dressing does not mean you have to dress as though you’re appearing in a period drama. Your grandfather may be an excellent sartorial role model, but if you choose to, it’s still quite possible to dress up in a way that is contemporary. Fashion trends – seasonal experiments in proportion or cut, for instance – should be avoided. But, unless you favour the good value of out-and-out classicism, that doesn’t mean being attentive to timely details like button fastenings, lapel widths or trouser rise is out too. Formal dressing doesn’t always mean a suit. Men are slowly coming to appreciate what women have known for generations: separates are still smart, as flannel trousers and a sharp blazer can demonstrate. But if you’re going to wear separates, make sure they’re separate: picking trousers and a jacket of almost the same shade, and almost the same fabric, just makes you look like you’re trying to wear a suit and failing. Instead, think complementary but not matching. For men who enjoy the fun and self-expression afforded by clothing, dressing formally can seem hugely restrictive, what with all this talk of rules and regulations, of expectations and standards. But just because you have to wear a sober suit and shirt and tie doesn’t mean these prerequisites leave no room for you to make personal choices. 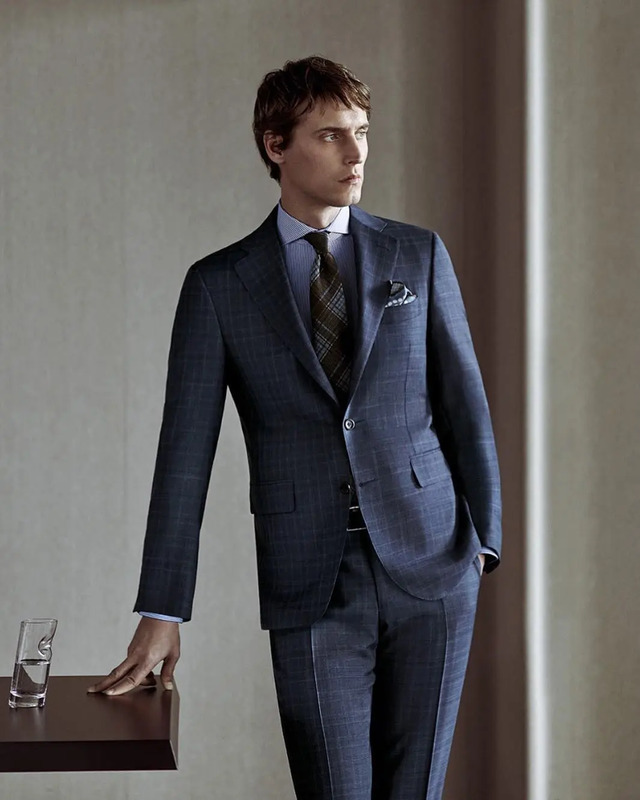 When selecting a suit, consider texture, for example – there are a wealth of cloths, all with their own characters. Or colour – there are myriad shades of navy and grey. And consider the details: lapel shape, pleats, drape. There’s plenty of opportunity for you to still have a say. If your suit is dark, straight-forward and fits really well, you’re wearing dress shoes and a dress shirt – with a tie, because if you’re wearing a suit, you should always wear a tie – you’re already on the home straight of formal dressing for most occasions. It’s not complicated. When it comes to formal dressing less is more, so avoid going overboard with extraneous extras. Watch chains, tie clips and fancy cufflinks and button studs all add some razzmatazz, of course, but likewise often detract from the greater impact of a clean, uncluttered silhouette. Settle on an easy go-to formal outfit and having to dress up won’t feel such a bind either. Formal attire doesn’t mean just putting on the right suit. It’s no good doing that and then wearing it with a shirt that can’t carry a tie, or a pair of trainers (no matter how fashionable doing so may be, trainers are not welcome in true formal dress). It’s not good wearing immaculate tailoring and then putting an anorak on over it. Or thinking you can still wear all those festival bands (take them off), or that skull ear-ring (take it out). You probably wouldn’t wear a baseball cap with formal attire either – intuition would tell you it’s out of place. The same consideration is required for everything you wear in formal dress. Think holistically.